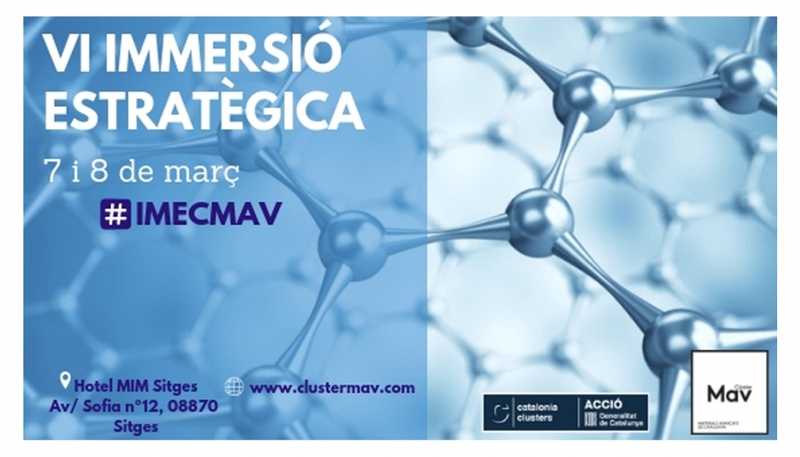 The VI Strategic Immersionis is a space for debate and reflection among the members of the community of advanced materials that serves to generate synergies between the entire ecosystem. In order to foster networking among the participating agents, a who's who session is organized, in a pleasant and participative way, where all the participating organizations will have 3 minutes to present their capabilities and one of the challenges they are working on. Complementarily, there was a space to show their products and/or materials with a descriptive description of their capabilities. The programme included sessions on "Trends on Advanced Materials", "Mobility and Energy", "New Materials", "Synthetic Materials", "Circular Economy" and "Additive Manufacturing". Participants from IREC, ICN2, BASF, Fundació Ellen MacArthur, Eurecat presented their challenges.